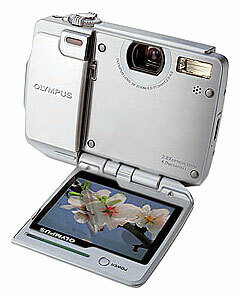 David D. Busch has reviewed the Olympus IR-500 digital camera. The Olympus IR-500 wants to be the iPod of digital cameras: cool, convenient, and especially versatile is playback mode. Plextor today announces a new DVD-ReWriter drive; the company's first portable DVD recorder drive, the PX-608U. Reflecting the consumer trend for highly portable and stylish units, the PX-608U comes in an attractive silver design and is one of the slimmest and lightest drives on the market. As well as extending Plextor's optical product line of internal and external DVD writers, the PX-608U complements Plextor's latest range of stylish, silver portable hard disk drives. 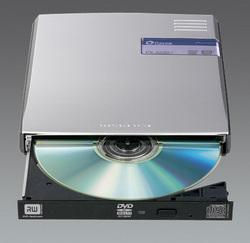 The high performance PX-608U is not only compact, measuring just 22.2 mm thick, but it offers double layer DVD+/- writing, multi-format DVD-RAM capability and high-speed USB 2.0 data transfer. It is capable of the following DVD speeds: 4x DVD+/-R DL; 8x DVD+/-R; 8x DVD+RW; 6x DVD-RW and 5x DVD-RAM. The Plextor PX-608U will be available from December 2005 at Plextor's network of dealers. A comprehensive range of full and trial software is included from: Plextor (PlexTools Professional & PlexTools Professional XL), Cyberlink, Nero, Pinnacle and Sonic. 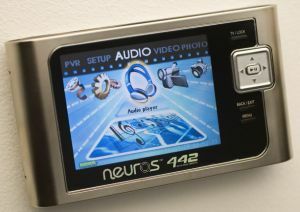 Adam Z. Lein has reviewed the Neuros 442 PMP. 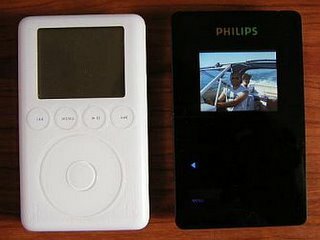 If you're going to use it for watching movies and videos away from home,Great stuff, he says. Diabolikal has reviewed the Philips HDD6330. It's great player, which can hold and play your music, allow you to listen to the radio and view pictures, they say. 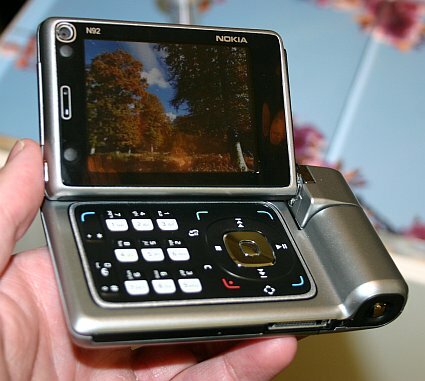 - Navigation can take some getting used to (2-3 day learning curve; but it's easy to use after that).